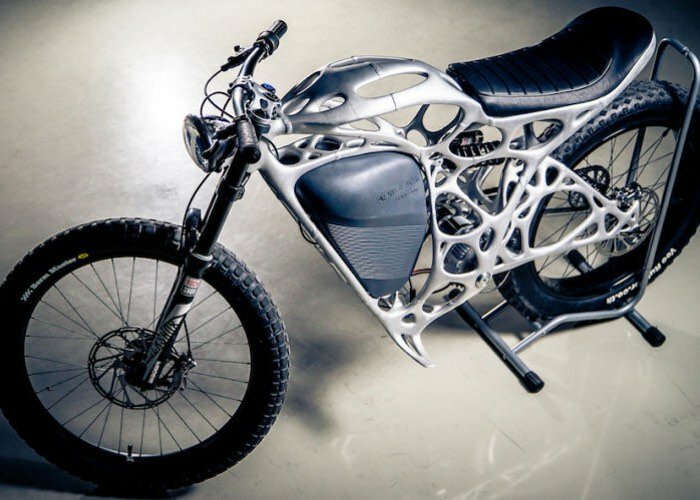 Airbus APWorks has this week unveiled the worlds very first commercially available 3D printed motorcycle named the Light Rider. 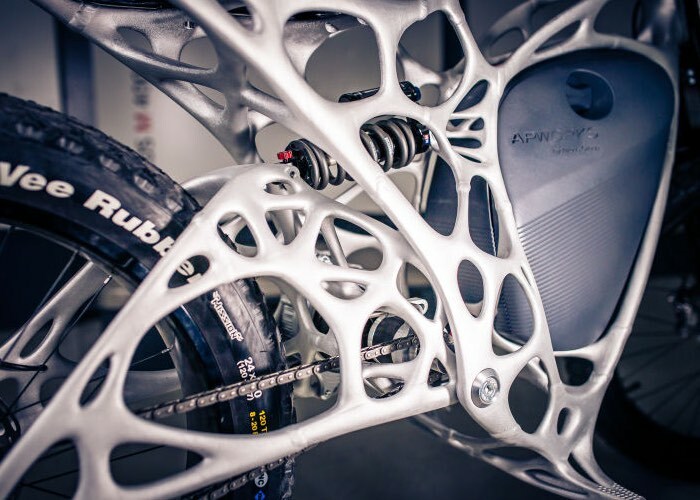 APWorks, a subsidiary of Airbus Group and produces bionically optimised metal parts for the automotive, robotics and aerospace industries and has now unveiled the worlds first 3D printed motorcycle. APWorks used an algorithm to develop the Light Rider’s optimized structure to keep weight at a minimum while ensuring the motorcycle’s frame was strong enough to handle the weight loads and stresses of everyday driving scenarios. The result: a motorcycle that looks more like an organic exoskeleton than a machine. That was a very deliberate design goal for APWorks, which programmed the algorithm to use bionic structures and natural growth processes and patterns as the basis for developing a strong but lightweight structure. Each 3D-printed part of the Light Rider’s frame – produced using a selective 3D laser printing system that melts millions of aluminum alloy particles together – consists of thousands of thin. Layers just 60 microns thick. Leveraging the benefits of 3D-printing technology, APWorks designed frame parts that were hollow instead of solid, which has allowed for integrated cables, pipes and screw-on points in the finalized motorcycle structure. For more information on the new Light Rider jump over to the official APWorks website for details following the link below. There are currently 50 Light Rider motorcycles available to purchase priced at $56,000 + plus taxes via the link below.